What Makes A Good Boss Battle? Boss battles are about as deeply entrenched in video game DNA as life bars; it’s hard to think of a series that doesn’t feature some kind of boss battle. Even in games like Top Spin and Fifa 20XX, there are the big events like Wimbledon and the Cup Final that the game builds up to, where you’ll compete against harder opponents. In conventional story-driven series, boss battles help to break up the action; you’ll progress through a level, build up to the boss, overcome the boss, then move on to the next area. It’s a well-trodden and comfortable rhythm, and a perfectly sound way to pace a game. So, this begs the question: what makes a good boss fight? Firstly, let’s look at some examples of bad boss fights. Deus Ex: Human Revolution, an otherwise solidly crafted game emphasising player choice, is marred with boss encounters that essentially force you to take down the bosses with good old fashioned murder bullets. Not only are these encounters particularly dissonant in pacifist playthroughs, they also betray the game’s tenet of freedom of approach. You can’t sneak past them without a trace, you can’t really hack stuff to your advantage; if you haven’t geared up with offensive gear in favour of a stealthy playthrough, you’re going to have much more frustrating time, and it’s not your fault because apart from boss battles, the game has been selling player choice. Another frequently-touted example of a poor boss is the fight with the Joker at the end of Arkham Asylum, in which the Joker is beefed up on a more-potent variation of venom, Titan. While the fight doesn’t break gameplay consistency, since brawls with large Titan-enhanced enemies were already in previous encounters, the boss is egregious because it doesn’t make narrative sense. The Joker is a thinker; he’s dangerous because of his genius, not his physical prowess. He’s only a threat to opponents in combat because of his sheer unpredictability. Batman shouldn’t beat him in a battle of brawn, but a battle of brains, and the final boss fight with the Joker just broke the narrative and character consistency that the game had been wonderfully building up to that point. So, then, a boss battle should be consistent with the game, both in terms of mechanical design and narrative design. Dishonored is a good example of a counter to Deus Ex, since both games encourage exploration and flexible approach to the levels. Dishonored has the protagonist Corvo Attano chasing down targets in a corrupt government, most of whom are related to his fall from grace as the Lord Protector of the Emperess. Dispatching these targets are essentially the main objective of each mission, so they’re acting as bosses in this game. Rather than requiring you to eliminate your targets through murder, Dishonored allowed attentive players to dispatch targets in non-lethal ways. For example, you can mark one target with a heretic’s brand, which leads to him being kicked out of his high office, effectively removing the threat he imposed. This approach to design allowed players to make choices which suited the narrative consistency of their play style, and none of the choices of approaching targets betrays the narrative themes of the game up to that point. Setting aside narrative concerns, a commonly held belief is that a good boss battle tests what you’ve learned about the game so far. Bloodborne boss Father Gascoigne is one such boss that epitomises this philosophy. The second (or first, if you take a certain route) boss in Bloodborne, the Gascoigne fight takes place in a cemetery and is more or less a trial by fire; relentlessly charging you with formidable speed and power, players that haven’t yet learned to dodge and parry attacks will have a hard time beating him. You can also make use of the grave stones in the area to give yourself some breathing room to heal and time your attacks, which emphasises the use of environment that’s so important in Souls/Borne games. Lastly, there’s an item you can acquire before the Gascoigne fight that allows you to render him immobile for a short period of time, which let you get in some much-needed hits. This teaches you the importance of preparation and the rewards of exploration, as well as providing a narrative gut-punch once you understand the circumstances surrounding Gascoigne. Conversely, games have made use of boss fights as ways to expand the player’s mind beyond what they may have learned in the preceding sections of the game. Forced to adapt new strategies to deal with the boss, the fight often plays out more like a puzzle until you work out the right method of dealing with the enemy. The Metal Gear Solid series is famous for this approach; while much of the games focus on stealth, most of the bosses require unique strategies. 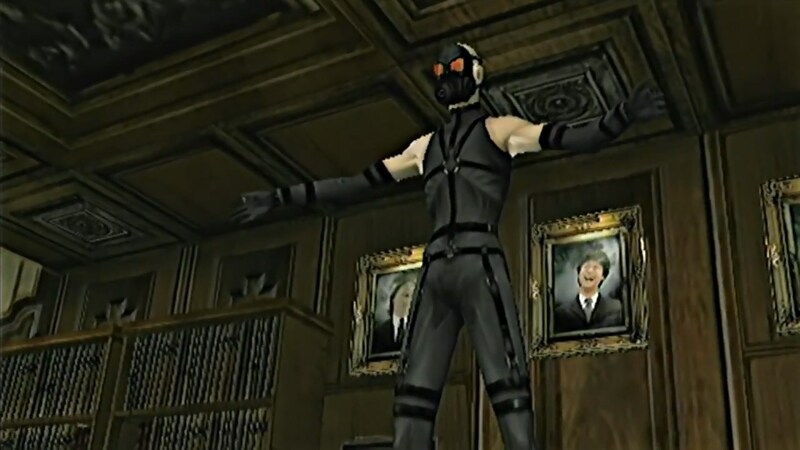 The Psycho Mantis fight in MGS is well known for its genius, making the player plug their controller into the player 2 slot so that Mantis can’t read the Snake’s mind, rendering him beatable. In fact, each boss battle in MGS embraces a completely different play style; a prolonged sniper battle with Sniper Wolf, a dangerous game of cat-and-mouse with Vulcan Raven, a simple fist fight with Liquid Snake… each encounter distinct and memorable as the last, and very little to resemble the core gameplay of the game. I think that Shadow of the Colossus may be the purest example of this style. While your mechanical options are the same in each instance, each colossus requires a different approach; sometimes you need to bait a certain attack to be able to climb up onto them, sometimes you need to sue the environment cleverly, and sometimes you need to hit a weak spot. Climbing each colossus is a puzzle in itself, as you navigate their massive bodies in search of weak points where you can damage the creature. I think that game which use this approach to boss design tend to be more successful in creating more memorable and varied encounters. All in all, I think that the best boss fights are those that are memorable. They should be hard, but fair, and most importantly, true to the game. It’s clear from Dishonored and Metal Gear that we can have varied, interesting and unforgettable bosses that improve the game rather than acting as a barrier to the player.